The Diamond Gallery is committed to providing you with the most exclusive diamond buying experience and whiles doing so, offering you the opportunity to become a diamond expert. 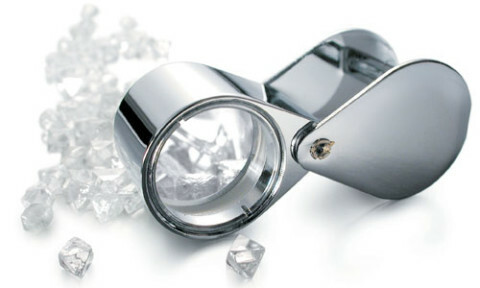 As wholesale suppliers, we have a large selection of top quality loose diamonds with over over 7000 in stock! You’ll find stones of every size, color, and cut. Every stone in our diamond inventory has been graded and thoroughly inspected by our team of diamond expert for its exceptional qualities. The diamonds we sell are extraordinarily well cut, exhibit stunning clarity and irresistible color. Whether you’re searching for a stunning solitaire, matched diamonds for earrings or a stone to shine brilliantly in a custom creation, our team of experienced, friendly professionals will help you find it. Whether you are looking for an investment piece, a special gift, or the ultimate souvenir, you are bound to fall in love with the dazzling jewellery piece or exceptional loose stone of your dreams.